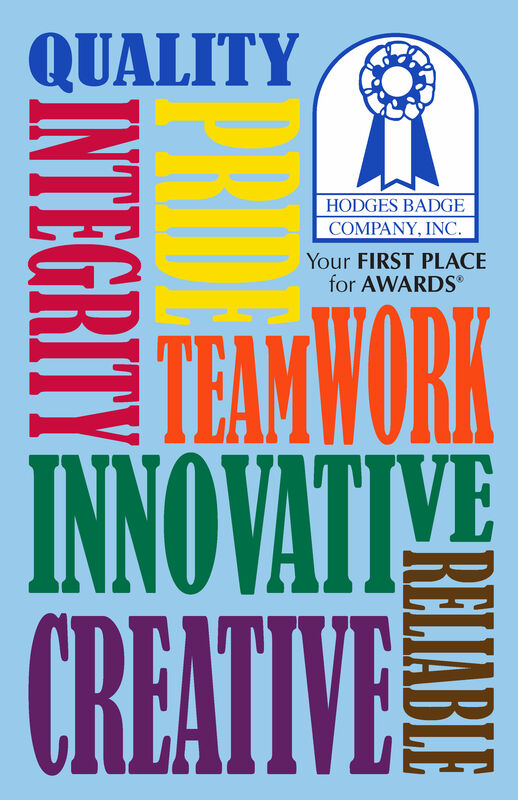 Hodges Badge Company has been a successful family owned and operated Awards Company for over 90 years. In a recent team meeting, we had the opportunity to reflect on what has made this company what it is today. Two factors were more evident than the rest – the Hodges “culture” and our people. Our Hodges associates and our common “core values” are the defining factors that have made our company flourish for all these years. The core values of our company have always existed, but have never been written down. As we start our 94th year of operation, it seemed like an appropriate time to collect our thoughts about who we are and have been for nearly a century. The first step was to assemble a Core Values team. This team was composed of employees from all different departments, with different levels of experience, from both our Rhode Island and Missouri facilities. Over the next seven months we will be focusing on one of our core values each month. We will be sharing how we celebrate each core value with a monthly blog post. Please share your ideas and opinions with us as we begin this journey. We invite you to celebrate with us!